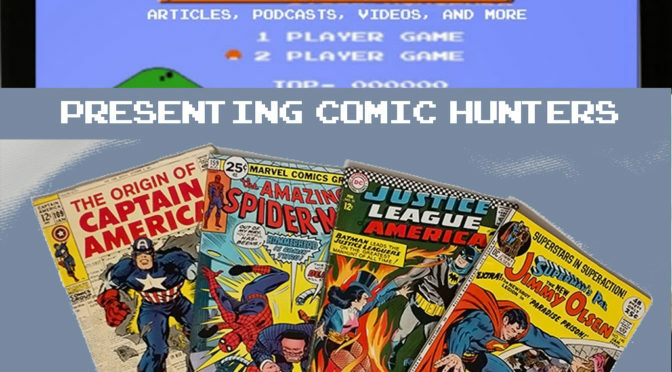 We start the series by talking about what got us into comic book collecting. There is also a surprise reunion at one of our favorite comic book and gaming stores! We continue to reminisce by taking about one of our favorite decades in comics, the 1990s. Spawn, 2099, and X-Cutioner’s song, oh my! Look for a deep dive on this topic in a future episode. We talk about what comic books mean to us as a social hobby and an escape from reality. A visit to a local comic book show inspires us to organize and inventory our collections, which then inspires us to go to Midtown and eBay to buy more comic books. We talk about which books we’re looking for and why. A brief memorial to 2099 leads to both of us trying to figure out where all of the nerd rage and hate comes from. Why didn’t you like the new Marvel heroes? What is wrong with rebooting the numbering every few years? We have some theories. Another brief discussion of books that we’d like to collect. X-Men Volume 1 and Marvel Team Up are prominently featured.